Eilat Mazar, granddaughter of famed Israeli archaeologist Benjamin Mazar, has been excavating in Jerusalem's City of David and the area known as the Ophel. The Ophel is a small piece of land between where the temple mount stands and the original location of ancient Jerusalem. In the past she has uncovered large foundation stones belong to a monumental structure that may or may not have belonged to King David (see here). 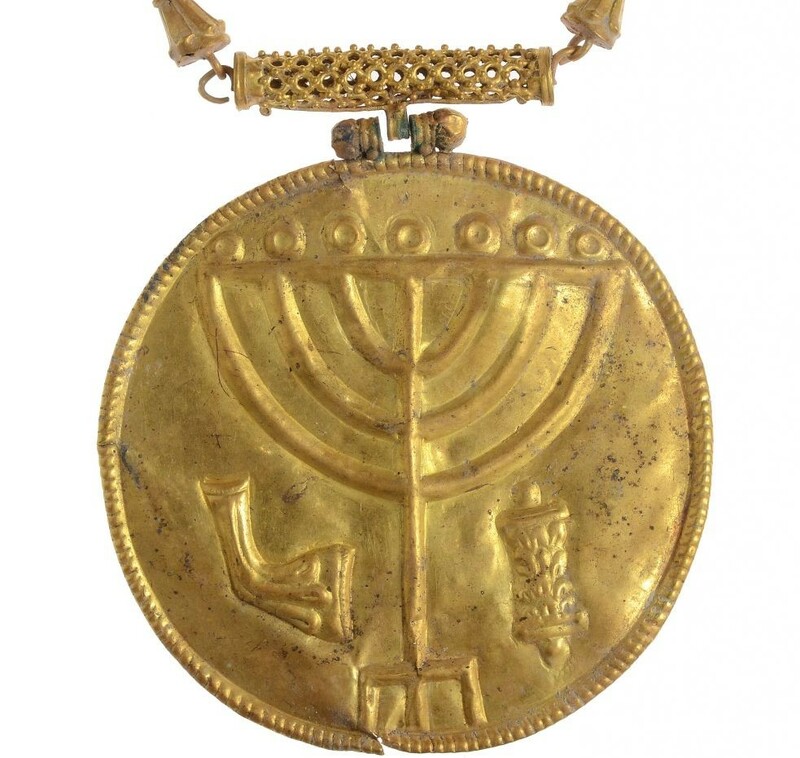 On Monday the Hebrew University announced that Mazar's excavation team has discovered a hoard of Byzantine gold, including a piece depicting a menorah. Below of some of the report and a video. The find, unearthed in the area adjacent to the Southern Wall of the Temple Mount known as the Ophel, was dated to the early 7th century CE, in all likelihood the time of the brief Persian conquest of Jerusalem. Professor Eilat Mazar described the discovery as a unique find with “very clear Jewish symbols.” She posited that the hoard of gold and silver objects, found beneath the floor of a Byzantine-era house meters from the massive walls of the Temple Mount, was brought by Jews who returned to the city after the Persians conquered it from the Byzantines in 614 CE. The centerpiece, a medallion that Mazar posited may have been used as ornamentation for a Torah scroll, is emblazoned with a seven-armed candelabrum — a menorah — a Torah scroll, and a shofar, a ram’s horn.